Charleston schools use this city-owned woods for nature study. EVS has been removing the exotic bush honeysuckle and autumn olive that is choking out native plants. 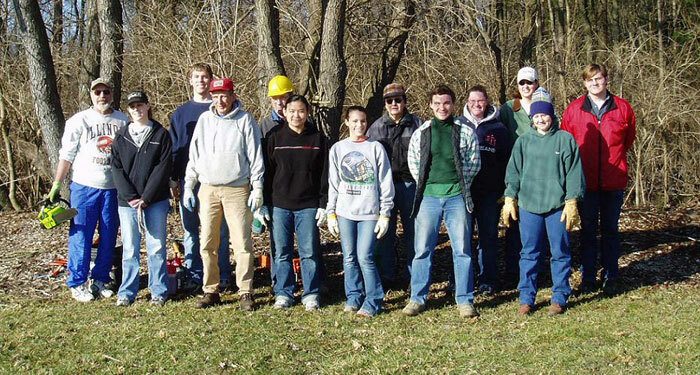 The following is a photo with Beta Alpha Psi helping out our group at Lafferty Park in Charleston.